IDW Publishing is teaming with Paramount Pictures, J.J. Abrams’ Bad Robot Productions, Kurtzman/Orci Productions and CBS Consumer Products to publish a four-issue comic book series tied to next summer’s Star Trek. 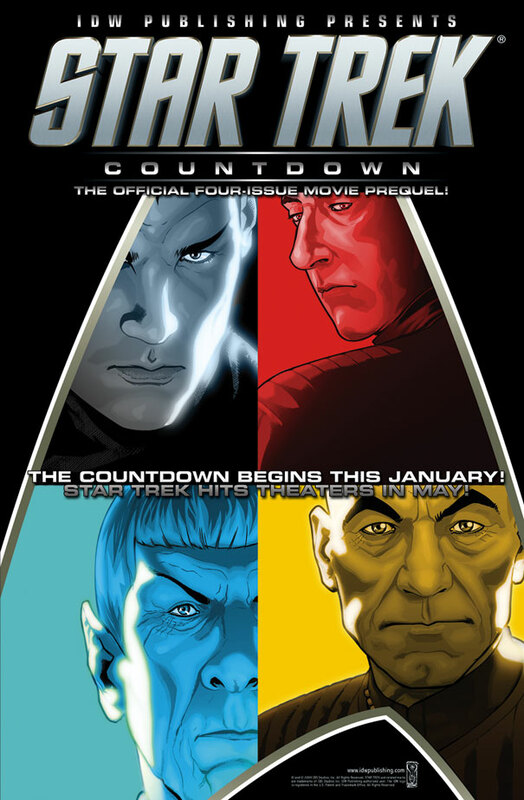 The first comic in the series, Star Trek: Countdown #1, will be released in January 2009. The story is written by Mike Johnson (Superman/Batman) and Tim Jones, featuring art from David Messina (Star Trek: Mirror Images). Messina will also be providing the covers for the series. Check out a promotional image on the right hand side (click to enlarge).